This rarely happens in Kenya. 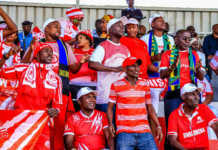 It’s the stuff that dreams are made of – a title race decided in a match pitting Kenya’s greatest football rivals. this weekend, the Mashemeji Derby could decide the title race. 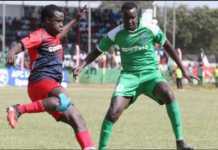 Gor Mahia face AFC Leopards in the SportPesa Premier League on Sunday. The clash at Moi International Stadium, Kasarani will not be a ‘winner takes it all affair’, no. However, AFC Leopards will no doubt have great pride and satisfaction if they ensure Gor Mahia are not crowned champions in this fixture. The only way this will happen is if Ingwe avoids defeat, denying Gor from reaching an unassailable 71 points on the tally. With seven matches left to play, the teams closest to the league leaders can only reach a maximum of 69 points. Also, should Bandari fail to beat Nzoia United tomorrow, a draw might still be enough for Gor Mahia. It won’t be easy for Leopards to postpone their rivals coronation though. Ingwe are without two of their leading scorers Ezekiel Odera and Whyvonne Isuza, both having been suspended. The responsibility falls on youngsters Marvin Omondi and Jaffery Owiti to get the goals they will need to thwart K’Ogallo’s aspirations. On the other hand, K’Ogalo have a make-or-break CAF Confederation Cup duel against USM Alger due in four days time. 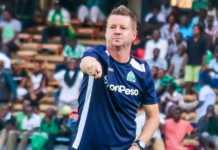 Coach, Dylan Kerr will still be keen to ensure they wrap up the championship. He deliberately restied the big guns in their victory over Sofapaka in their last match. Kerr will this weekend unleash his big guns as they seek to conclude one of the most one-sided title races in recent memory. Striker Jacques Tuyisenge is still chasing the ‘Golden Boot’, being two goals behind the leading scorer. He however has formed a habit of scoring against Leopards and he may be the one to determine the fixture’s result. In February 2016, the almost unthinkable happened when bitter rivals and local football giants, Gor Mahia FC and AFC Leopards SC, unveiled the same title partner in gaming giants SportPesa. 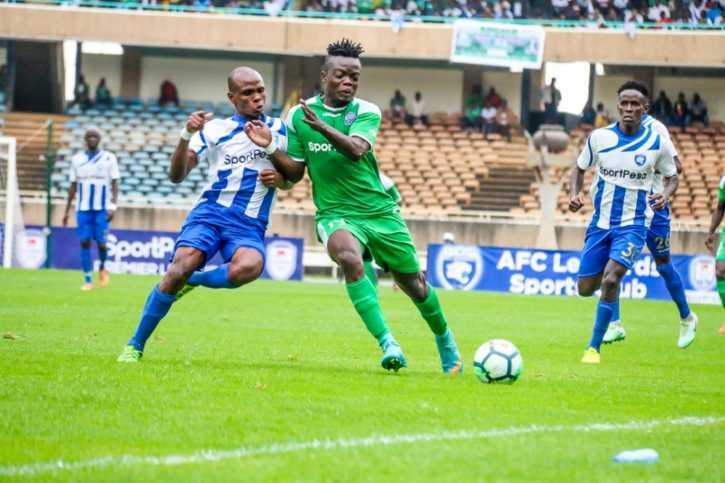 The landmark deals announced in Nairobi marked the first time in their long history that a single brand has adorned their venerated jerseys and since then, K’Ogalo and Ingwe as they are affectionately known, have never looked back. 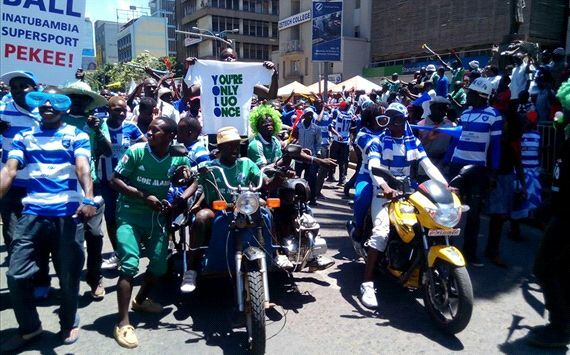 After a number of lean years that coincided with the near total collapse of domestic football, K’Ogalo and Ingwe have worked their way back to the apex of Kenyan game as well as into the hearts of their passionate supporters. A year later, K’Ogalo reclaimed the SPL title as Ingwe lifted the cup-now renamed SportPesa Shield- as the most eminent teams in the country split domestic honours. 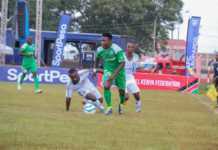 The Mashemeji Derby has reclaimed its billing as a signature sporting event in the country’s calendar owing to the recent success shared by Gor and Leopards. Theirs is a good example of what can be achieved when corporate and community institutions partner to raise the standards of sports in a country that has huge potential to become an international sporting powerhouse. Above all, the ground breaking Gor and Leopards deal inspired SportPesa to go across the border and add their Tanzanian equivalents and sworn adversaries, Simba and Yanga SC to their expanding stable in May 2017.